Hello, everyone! 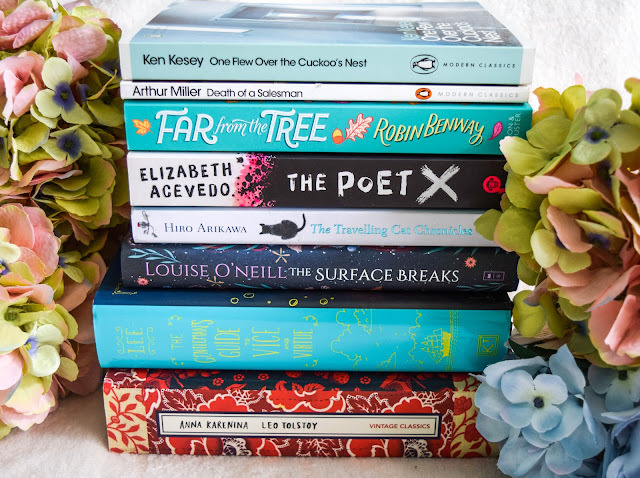 Today I have a little book haul to share with you. In a previous post I mentioned that I wasn`t that successful with my reading this year, but at least I came across some great books. One of them is "The Poet X" by Elizabeth Acevedo. It`s a heartbreaking novel that addresses difficult subjects like religion and the place of young black girls in society. Since it`s one of my favourite books of 2018, I had to buy the physical book as well. And keeping up with that trend, I had to get "The Gentleman`s Guide to Vice and Virtue" by Mackenzi Lee. I listened to it on Audible, gave it 5 stars and decided to purchase the hardback so I can keep Monty, Percy and Felicity close to my heart. For whatever reason, I saw that "Far From The Tree" by Robin Benway was 2£ on Amazon, and I couldn`t say no. A lot of people have been comparing this novel to the American Tv Show "This Is Us", so I`m intrigued. Also, I have not read a YA contemporary for quite a while now, and I miss it. Granted, I was getting tired of the same tropes at one point, but I`m ready to be dazzled again (hoping that this book is worth the hype). There are so many new releases I want to get to, but since I was unlucky with a couple of them, I`m more selective. However, I could not say no to "The Surface Breaks" by Louise O`Neill. This is described as a feminist retelling of "The Little Mermaid", which was quite a popular story this year (I believe there are 2-3 more retellings that have come out or are about to be released this year). Also, the book is closer to Hans Christian Andersen`s fairytale than the Disney adaptation, which means it`s dark and gory. I`m currently reading it, and so far I`m really enjoying it. I also bought "The Travelling Cat Chronicles" by Hiro Arikawa. Not going to lie, it was a 50% cover buy and 50% based on my devotion to Japanese culture. Once I read it, I`ll make sure I write a review. Obviously, I can`t have a book haul without including a few Penguin Modern Classics. I`m slowly building my collection, and this time I opted for "Death of a Salesman" by Arthur Miller and "One Flew Over The Cuckoo`s Nest" by Ken Kesey. I`ve read and enjoyed both of them, and I strongly recommend you pick them up. They`re not easy reads, but they will definitely challenge your perspective about society. And, the crowning jewel of this haul: this gorgeous Vintage Classics edition of "Anna Karenina". Leo Tolstoy is that author I`ve always wanted to read, but never got the courage to start his books. I used to believe it`s because of the size of his novels or the confusing names, but I`m doing quite fine with Dostoevsky`s books. Ultimately, I think it`s because I did not want to commit to a hefty classics. But this year I`m definitely finishing "Anna Karenina" and "War and Peace". Like I said earlier, I did not buy that many books because my TBR shelves are getting ridiculous. My strategy is to buy a new book ONLY after I finish 3 books. Hopefully, it`s going to work, and it will motivate me to read more. I know I set my Goodreads goal at 24 books, but in reality, I was aiming for 35-40 books. So far I`m at lucky 15, so I need to do less buying/hoarding and more reading. 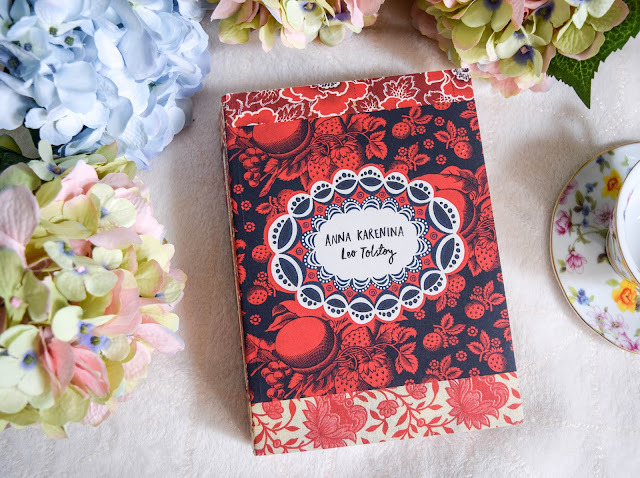 Wow, that is a beautiful copy of Anna Karenina! It is quite a hefty book, but a worthwhile read! I`m nervous to start it, but I am sure I`ll end up loving it.